The Best Show on WFMU is excited to welcome Ted Leo, Ben Gibbard, and Patton Oswalt live in studio this Tuesday, March 4th from 8-11 PM! Ted is reprising his amazing appearance last year playing songs for pledges, but now he's joined by Ben Gibbard (Death Cab for Cutie/The Postal Service) and the hilarious Patton Oswalt! It should be a show for the ages, so tune in and get those pledges ready! You can pledge at 1-800-989-9368 or online at wfmu.org. 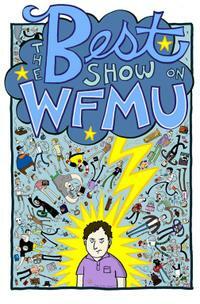 More info on the WFMU fundraiser here, which run through Sunday evening, March 9th! As a special enticer, Patton's offering a WFMU-only CD during Tom's show for pledges of $75 and up called Frankensteins and Gumdrops!